What you are about to read may seem high-level, but I promise if you follow these steps you will take your skills to the next level. Let’s begin. One of the persistent challenges I hear from my audience is around the topic of systems integration. Automated Buildings readers you’re in luck! 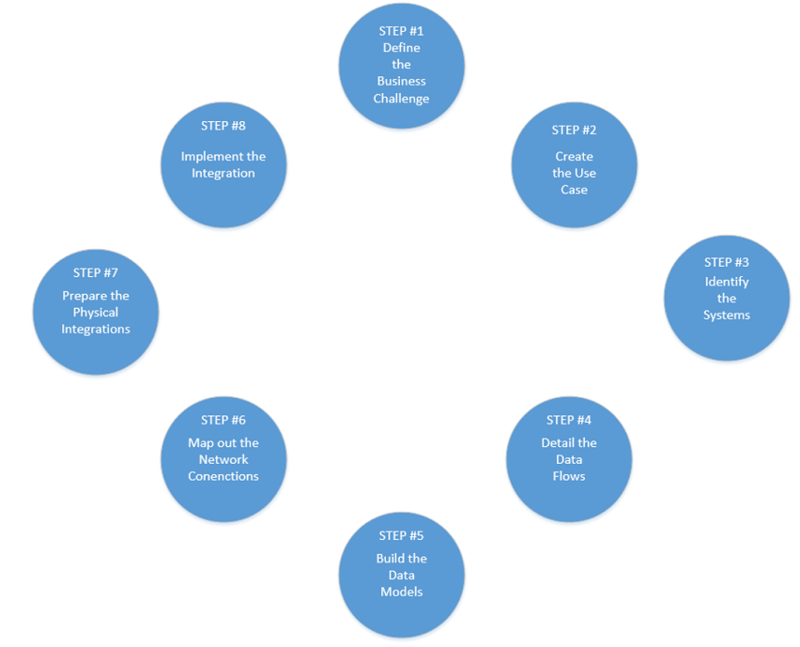 Today I am going to give you a high-level overview of my 8-step process for systems integration. Using this process I have personally done some of the most complex integrations in the smart building space. OPC integration bringing 13 different Building Automation systems AND THEIR DATABASES into a single front end. Check! Tying together Lighting, Physical Security, Video Management, BAS, Maintenance Management Software, and Google Calendars for scheduling. Check! Writing applications that consume XML data feeds from clinical systems and then convert this data into a BAS system. You Bet! This may seem like an odd step especially for technical folks. The reality is without defining the business challenge you will never get adoption and support from all of the different stakeholders. Great! We know which way data is flowing. Now we need to detail out our data model. What points do we need from each system? How will the points be formatted? What protocol will the points use? It is here that we detail out our “data model”. For this I like to use the UML class diagram. It may seem like overkill but a class diagram is a great tool to avoid having systems that won’t map to one another. Naturally we need to send data to and from our systems. The way we do this is via the network. Now you may be wondering why I waited to do a network map until now. The reason I waited is because I wanted to know which systems needed to talk with one another. By first detailing out my data models and my data flows I defined who really has to talk to who. Many folks will look at the use case and immediately start mapping out their network connections. This results in people missing key systems that the use case did not actively mention. This almost isn’t a step! You simply need to implement your network map and data model. Really at this point you simply need to show up and coordinate the other vendors. It’s funny to me because this is the step so many people try to do first and then they wonder why this step is so hard. Honestly, if you’ve done each of the steps up to this point this step should be a non-event. I hope you found this article enjoyable and that you learned a reliable process to approach your integrations. If you want to learn more you can find me at www.buildingautomationmonthly.com.